Banks and financial institutions have faced a spate of regulations centered on capital adequacy since the financial crisis started in 2008. The Basel Committee on Banking Supervision (BCBS) initiated a series of reforms to strengthen risk, capital and liquidity rules across banks. Among the important changes recommended are new rules for calculating Tier I and Tier II capital and the inclusion of additional risk measurement components for market risk, liquidity risk and counterparty risk. Despite these changes, a key drawback of the Basel framework is its focus on historical capital adequacy. While being useful, it does not help assess the impact of stress events on banks from an ex-ante basis. Hence regulatory agencies in several jurisdictions have mandated banks to define a forward-looking capital plan that incorporates stress scenarios. 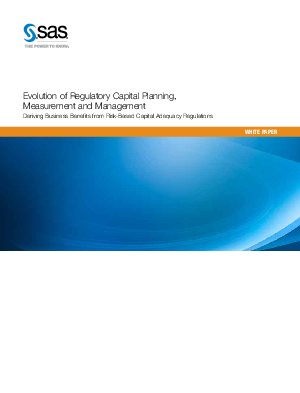 While there are a lot of commonalities between the Basel capital adequacy rules and the forward-looking capital planning rules in terms of risk modeling and data infrastructure, there are substantial differences in the goals of these regulations, types of risks covered and specific nuances of each jurisdiction. Further, these new regulations can have a substantial impact on the growth and profitability of banks.